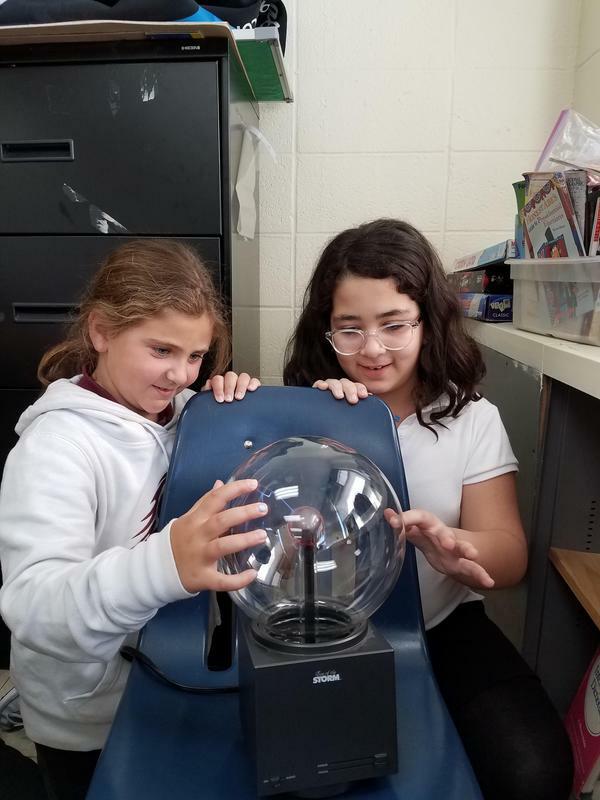 Brandeis 4th grade students explored the push and pull of magnets, how magnets attract or repel by based on their poles, By touching a plasma ball, students saw how the light attracted to their body heat/touch and changed colors. Finally, groups created friction by rubbing balloons against wool clothing. They understood that negative charges more easily than positive charges, causing the balloons to attract the cereal. The greater the charge, the more cereal stuck to the balloon.